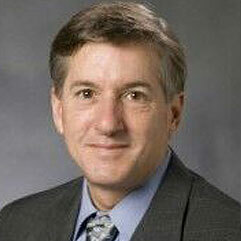 Richard A. Parker serves as Chief Medical Officer for Arcadia Healthcare Solutions. 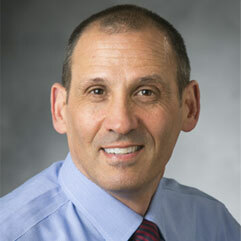 Previously, Dr. Parker was an internist with a 30-year history at Beth Israel Deaconess Medical Center. From 2001 until 2015, Rich served as the Medical Director and Chief Medical Officer for the 2200 doctor Beth Israel Deaconess Care Organization. He oversaw the physician network evolution from a fee for service payment system to a nationally recognized global payment Pioneer Accountable Care Organization. Dr. Parker’s other areas of expertise include end of life care, medical malpractice, care of the mentally ill, electronic medical records and population health management. 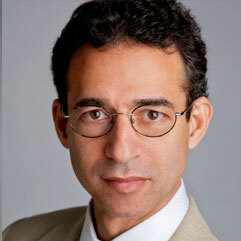 Dr. Parker served as Assistant Professor of Medicine at Harvard Medical School. Dr. Parker graduated from Harvard College in 1978 and the Dartmouth-Brown Program in Medicine in 1985. Paolo Paoletti is currently the CEO at GammaDelta Therapeutics, a biotech company focused on leveraging gamma delta T cells which are a unique and conserved population of lymphocytes that contribute to many types of immune responses and immunopathologies He was formerly the first appointed president of GSK Oncology, where he was responsible for championing an organization of more than 2,000 professionals around the world dedicated to fighting the causes and impacts of cancer. During his tenure at GSK, seven new medicines to treat different kinds of cancer were approved globally, generating annual sales of about US$2 billion. In 2014, GSK sold the Oncology business for US$16 billion to Novartis in a complex 3 way transaction. Prior to join GSK, Dr. Paoletti was Vice President of Oncology Clinical Research at Lilly, where he developed ALIMTA (> US$ 2 Billion annual sales). Most recently Dr. Paoletti was Chief Executive Officer of Kesios Therapeutics Limited. Dr. Paoletti, is currently a non-executive director for Genmab, PsiOxus Therapeutics (Chairman of the Board), FORMA Therapeutics and Nucana Biomed. 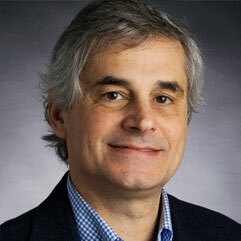 Dr. Paoletti has a degree in Medicine from the University of Pisa (Italy) where he was professor in Pulmonary Diseases. Thomas L. Patz is the Chief Operating Officer of Grid Therapeutics. Prior to joining Grid, for over twenty years Mr. Patz served as Executive Vice President, Strategic Initiatives, and General Counsel of MICROS Systems, Inc., a publicly traded software company. During his tenure at MICROS, Mr. Patz was instrumental in architecting over 30 transactions, including the sale of MICROS to Oracle Corporation in 2014 for $5.3 Billion. Mr. Patz holds an AB degree from Brown University and a Juris Doctorate from the University of Virginia School of Law. 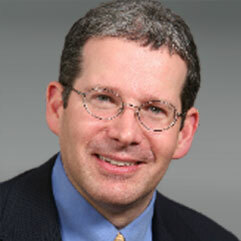 Edward (Ned) F. Patz Jr. is a co-founder and CEO of Grid Therapeutics. For over 20 years, Dr. Patz has led a basic science laboratory at Duke University focused on lung cancer biology and early cancer detection. Dr. Patz holds a BS in physics from Duke University, was a researcher in High Energy Physics at Harvard University and received his MD at the University of Maryland. Dr. Patz previously served on the faculty at Brigham and Women’s Hospital, Harvard Medical School, and the Dana-Farber Cancer Institute. Kevin Schulman is currently a professor of medicine and the Gregory Mario and Jeremy Mario Professor of Business Administration at Duke University, and a visiting professor of business administration at Harvard Business School. He is an associate director of the Duke Clinical Research Institute and served for more than a decade in Duke’s Fuqua School of Business as the director of the Health Sector Management program, the Master of Management in Clinical Informatics degree program and the Center for the Study of Health Management. Dr. Schulman is a fellow of the American College of Physicians and an elected member of the American Society for Clinical Investigation. He is the founding president of the Business School Alliance for Health Management, a consortium of the leading business schools offering health management programs. Dr. Schulman received his MD from the New York University School of Medicine and his MBA, with a concentration in healthcare management, from the University of Pennsylvania’s Wharton School. He completed a residency in internal medicine at the Hospital of the University of Pennsylvania and is board-certified in internal medicine.